A targeted cream mask for an instant purifying result, the Deeply Purifying Mask balances the skin and removes impurities with the first application. Its creamy texture absorbs excess sebum, effectively eliminates impurities and mattifies the skin, without drying it out. The complexion is instantly clearer and fresher, shiny areas are controlled (Benzoin and Burdock extracts). Pores are instantly tightened, skin texture is more even, skin is visibly mattified and the complexion is more radiant (White Clay and Lady's Mantle leaf extract). Skin is soft and stays comfortable (combination of D-Panthenol and Incense and Myrrh extracts). May also be used with targeted application overnight on zones with blemishes. Upon awakening, they will be visibly reduced. Daily and combined use of this the Tropical Resins skincare line considerably improves skin quality. I could not tell enough how my skin feel after I use this product. It' amazing, made my skin so smooth, soft ,and fresh. When I need a deep cleansing of my skin this does the trick! My skin feels very soft when use this. Does what it says. 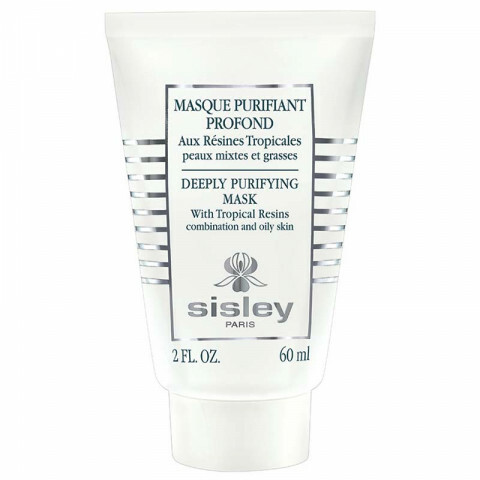 Deeply purifies my skin and I love using also as a spot treatment at night. My blemishes are nearly gone the next day and it doesn't get on my pillow. I use this as an overnight treatment and it significantly reduces my breakout the next day. Great for emergencies!